Home Insulation Fact Why insulate your building?How does wall insulation work? How to compare between insulation type?Thermal performance comparison between variety of materialWhat is Structural insulated panel?What Insulation type is typically used in panel? How to compare between insulation type? What is Structural insulated panel? What Insulation type is typically used in panel? Wall and roof insulation is an effective way to stop wasting energy and money at your building. A well insulated building will slow down heat transmission through wall and keeps cool air inside. 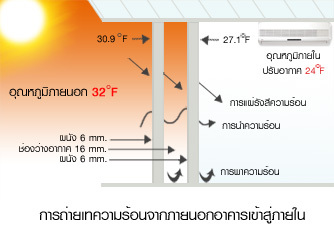 So, insulating your walls will help to condition temperature in your building more efficiently. Using less energy reduces carbon dioxide (CO2): one of the biggest causes of climate change. 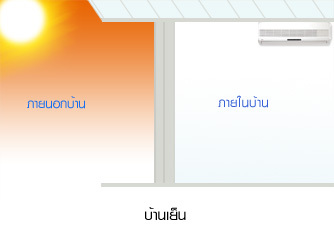 In fact, by insulating your walls you could cut your electricity related to refrigeration / air conditioning by 50%. It can greatly reduce your electricity bill. Heat will always flow from a warm area to a cold one. 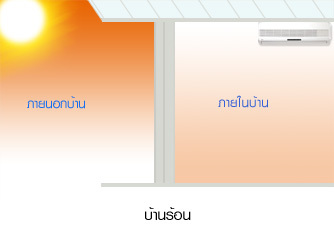 The colder is the temperature inside, the faster heat from the outside will penetrate. 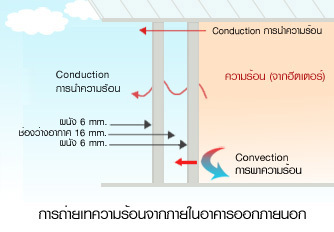 Wall Insulation slows down the rate at which heat penetrate. It reduces what is known as the U value of the walls � the rate at which heat can flow through them and is expressed in terms of "Watts per meter squared-Kelvin" (W/m2K). The lower the U value, the more slowly heat is transferred through wall, the better the performance of the insulation � and the more money you will save on your electricity bill to keep your home comfortably cools. The best insulation materials have a low thermal conductivity, also known as lambda (λ) or K value. The thermal conductivity of a material describes how easily heat passes through it and is measured in "watts per metre-kelvin" (W/mK). Material with a low thermal conductivity will need a thinner layer than a material with a high thermal conductivity. The best insulation materials have a high resistivity (R value), which is the resistance of one square metre of the material subject to a one degree temperature difference. R-Value measures the ability of material to retard heat flow rather than to transmit heat. "R" is the numerical reciprocal of K, thus R=1/K. The higher the "R", the better the insulating value. R value also depends on thickness of that particular object. When comparing R value, make sure all material thickness is the same. 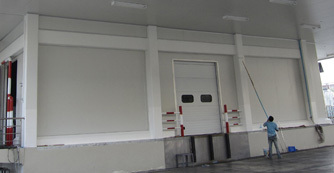 Structural Insulated panels, also known as sandwich panels, are incredibly useful materials to form strong lightweight structures used in everyday life. Insulated panel is fabricated by attaching a lightweight but rigid insulating core to two stiff outer skins, bonded by polyurethane adhesive. Variety of skin materials can be used, such as plywood, steel, aluminum, cement board, stainless steel, fiber-reinforced plastic. The most common skin material is pre-painted steel. Due to steel workability, panel edge can be roll formed to self-interlocking joint, which can greatly reduce installation time and cost. Not only better appearance, color coating provide more durability and benefit such as food-grade or anti-bacterial function. its insulation value. 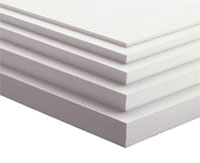 The thermal conductivity property of polystyrene foam board depends on its density. The higher density, the lower thermal conductivity and the better the insulation. Two grades of EPS are available: standard grade and self-Extinguish grade. Self-extinguish EPS contain flame retardant additive, so it only burn in the presence of an ignition source. When the ignition source is removed EPS self extinguishes. However, Like all organic building materials � wood, plastics, EPS is combustible, although its ignitability is low. 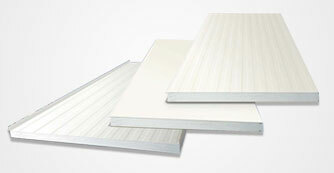 EPS used in Greatwall insulated panel is CFC free and ROHS free. XPS (Extruded Polystyrene or Styrofoam) Extruded polystyrene foam (XPS) consists of rigid closed cells, which offers higher compressive strength, higher resistance to water penetration, and lower thermal conductivity than EPS. It is lighted weight and easy to bond. XPS also contain flame retardant additive to inhibit ignition to small fire source. Like EPS and other building material, XPS is combustible if exposed to intense fire. XPS used by Greatwall is CFC free. 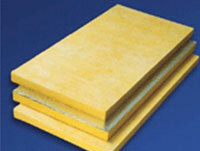 PUR (Polyurethane) is a closed-cell foam insulation material that contains a low-conductivity gas in its cells. The high thermal resistance of the gas gives polyurethane insulation lowest thermal conductivity ratings than any insulant. PUR can be applied with less thickness than EPS and XPS. 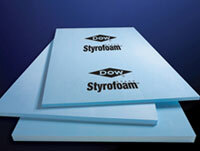 Rigid polyurethane foam provides a high level of compression and shear strength. 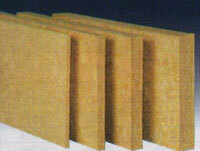 Rigid polyurethane foam is combustible. If ignited, foam can produce rapid flame spread and toxic smoke. PUR used by Greatwall is CFC free. PIR (Polyisocyanurate) is essentially an improvement on polyurethane (PUR). With similar properties to PUR, fire retardance property of PIR is far better. When subject to fire, PIR forms a carbonaceous layer which retards further flame spread and penetration. Rockwool are fibres made from natural or synthetic minerals, so provide excellent acoustic absorption. It has high shear, compressive, and tensile strength. 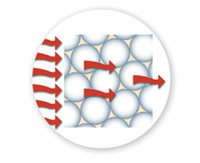 Rockwool has high heat accumulation capacity and can resist temperature in excess of 1000°C. Rockwool is non-combustible, cause no smoke development and does not produce toxic gas, thus it is an ideal insulation for high temperature room or fireproof facility.